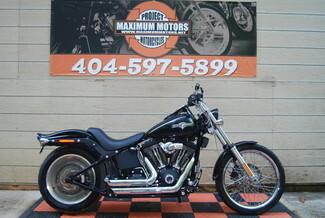 Welcome to Maximum Motors your #1 Source For project Harleys. Maximum Motors is a licensed bonded Vehicle dealer established in 2001. If you are looking at one of our eBay listings please take some time to review our feedback and click on the "me" icon next to our feedback for more info about us and to view all of our inventory. We've sold hundreds of bikes on eBay Motors over the past years and as you will see most of our business is long distance so you can be sure that once you've bought and paid for your bike we will work very hard getting it to you as soon as possible ! We have been selling on eBay for over 11 years and have many happy customers to prove it. We understand buying online without being able to see something in person is a major step but we hope you will give us a chance to earn your business. Need transport ? let our network of transporters deliver your purchase to your front door with our extremely competetive rates !!!!! This bike was purchased from an insurance company and is being offered here to pass the savings on to you. When our bikes arrive we evaluate them to determine the extent of damage. Every effort is made to get the bikes running and do a lot test ride. We then take 20 plus photos and do a start up video showing the bike start, idle and takeoff. Most of the bikes we sell consist of easy bolt on damage, if there is any frame or drivetrain damage we make every effort to list that. ** If your country is not listed email us and we should be able to get you a quote. Project motorcycles is our business and Harleys are our speciality, as Harley makes up 99% of our business we know the bikes and pass this knowledge on in our listings.We seek out the best bikes available. We always have plenty of Great project bikes in stock and buy new stock daily. TERMS AND CONDITIONS : ALL INVENTORY IS SOLD AS IS WITH EITHER A CLEAN, SALVAGE, OR PARTS ONLY TITLE OR BILL OF SALE. IF YOU ARE SUBMITTING AN OFFER PLEASE BE READY TO PURCHASE. WE DO NOT FINANCE OR ACCEPT CREDIT CARDS. WE WILL ACCEPT A $200 DEPOSIT VIA PAYPAL. IF THE OFFER IS THRU EBAY AND IS ACCEPTED WE REQUIRE AN IMMEDIATE $200 PAYPAL DEPOSIT AND FULL PAYMENT VIA CERTIFIED FUNDS SUCH AS WIRE TRANSFER OR CASHIERS CHECK. PLEASE UNDERSTAND THAT CASHIERS CHECKS CAN TAKE UP TO 10 DAYS TO CLEAR.